Do you want to work with young children? Do you want to make a difference to the lives of children, families and communities? If the answer is yes, a career as an early years professional could be for you. You may also have the opportunity to to take the Early Years Initial Teacher Training (EYITT) pathway in Year Two and Year Three of the course and become an Early Years Teacher. The Early Years Initial Teacher Training (EYITT) pathway is available to study in Year Two and Three for students who meet the entry criteria. Successful completion of this pathway will equip you as early years teaching professionals with the breath of knowledge, skills and understanding to work with young children up to five years. You'll be able to demonstrate that you have met the Teacher Standards (Early Years). You'll gain vital work experience and put your knowledge into practice through blocked periods of placement in each year of the course. You'll be equipped to work with children aged 0 to 5 in early years settings. Excellent facilities and experienced and enthusiastic tutors. This three-year course will equip you with the necessary expertise to become a successful early years professional, focusing on young children aged 0-5 years. You will become a research-informed and reflective practitioner, as well as an expert in the policy and practice in the early years and the care and education of young children. You will also study leadership and multi-agency working in the early years phase and undertake a piece of practitioner research. 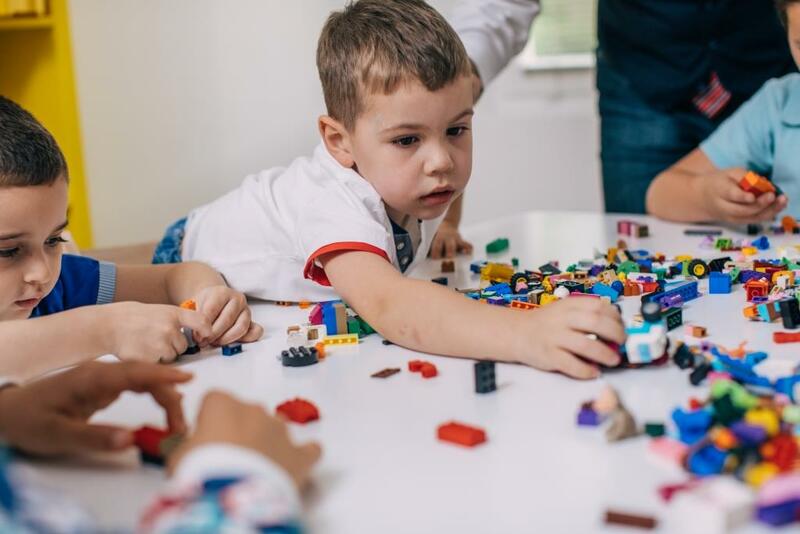 Responding to the Early Years Workforce Strategy, we have built this degree qualification to meet the Early Years Educator criteria required for those wanting to become Early Years Educators. In addition, the course will also provide the opportunity for students to achieve Early Years Teacher Status, for those students who are wishing to specialise as leading educators, with children aged birth to five. Achieving either or both of these awards will increase the employability for successful graduates. It also creates opportunity for further study in Higher Education. The EYITT pathway is available to study in Year Two and Three for students who meet the entry criteria. Successful completion of this pathway will equip you as an early years teaching professional with the breadth of knowledge, skills and understanding to work with young children up to five years. You'll be able to demonstrate that you have met the Teacher Standards (Early Years). You'll gain vital work experience and put your knowledge into practice through blocked periods of placement in each year of the course. These take place in a range of settings including the private, voluntary and independent sector, as well as schools, giving you experience across the whole 0-5 age range. This course will equip you to work with children aged 0-5 in early years settings. If you take the EYITT pathway, you will be awarded Early Years Teacher status. With this award, you will be a recognised specialist in early child development and be equipped to lead high quality practice in early years settings. This award is different to the Qualified Teacher Status (QTS*). It is perfect for those who wish to specialise in work with young children, and see improvement in policy and practice within the sector. A unique key feature of the BA (Hons) Early Years degree is that it has been designed to develop and challenge academic skills for those students who are considering pursuing postgraduate study. There is an opportunity to achieve 40 Masters credits, by opting to submit the final year assignment ‘Leading Early Years Pedagogy and Practice’ at Masters level. You will explore what it means to be a professional working in the early years sector and look at the professional attributes which you will develop through the course. You will be introduced to key areas of early child development, which will include cognitive, social, emotional and physical, speech language, and communication development along with neurological development. You will explore the observation, assessment and planning cycle using a variety of observational techniques and assessment methods. It will support your understanding of formative and summative assessment, tracking children progress to plan their next steps and shape young children’s learning opportunities. You will gain knowledge in the current legislation, policies and procedures that promote children rights and keep them safe from harm. You will begin to develop an understanding of factors that shape current legislation and policy, influencing the concept of childhood. You will explore children’s rights and their effect on the pedagogy of play, examining local, national and global perspectives of childhood. This module is delivered over three terms and allows you to gather a portfolio of evidence to show how you have developed your professional skills to become Early Years Educator. Explore research methodologies and ethical practices that seek to involve the voice of the child through participatory methods, taking account of SEND and inclusive practice. You will develop an understanding of how to work with a range of children with differing needs and potential barriers to learning and development. This module will support you to effectively deliver the Early Years Framework, facilitate babies and young children’s progress and development through effective planned experiences. You’ll explore the importance of effective communication with parents and / or carers and developing professional skills and knowledge in order to engage and positively interact with parents and / or carers. During Year Two and Year Three, you’ll gather evidence within a portfolio to be assessed against the Teachers' Standards (Early Years). During Year Two and Year Three, you’ll gather evidence within a portfolio to be assessed against the Early Years Educator Criteria. You’ll consider epistemological and methodological approaches, ethical issues within research, explore a field of literature related to your own research question, and understand how to interpret, reflect and analyse on literature and data. You will learn to critically explore approaches to the teaching of early literacy and mathematics. You will critically study, and apply, a range of leadership and management skills, using relevant academic literature and practice experiences. This module will enable you to reflect on your professional practice when leading early years practice and pedagogy. You will experience a range of open-ended activities outdoors, reflecting on the Forest Schools ethos, as well as national and international perspectives. One of the benefits of the course is the broad knowledge and experience you will gain. This experience may lead you to consider teaching, even if you have not considered this as a career before. If you complete your degree, you are guaranteed an interview for a PGCE Primary teacher-training course at NTU during your third undergraduate year (subject to places being available). Applications can only be accepted subject to sufficient allocation of places from the Department of Education for that year of entry. We've introduced flexible and innovative ways of learning, teaching and assessment to develop your study skills and understanding of the integration of theory and policy to practice. You'll take part in lectures, seminar discussions, tutorials and placements in ways that promote interaction. The following illustrates possible careers areas you could enter using your early years subject knowledge. Education graduates generally enter jobs working directly with children or young people, in a support capacity. Other roles in an educational setting, but with less direct contact with children or young people, include administration roles in education. There are posts available in other public sector organisations, such as local government, the health service and the civil service. GSCE Science grade 4 will be required by Year 2 if you want to specialise in the Early Years Teacher route. We are committed to promoting a diverse and representative body of education and teacher trainees. We welcome applications from under-represented groups, such as male applicants, applicants from BME communities, mature applicants and those with disabilities.